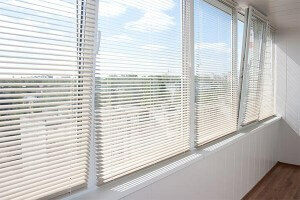 Millions of window roll-up blinds and Roman shades have been recalled as they pose a strangulation danger to children. A child is at risk when the lifting loops slide off the side off the blinds. A child’s head can become entangled and if the loop slips around the child’s neck, strangulation can result. The recall involves roll-up blinds without release clips, as well as all Woolrich Roman shades. The Roman shades were sold exclusively at Target from March 2006 through December 2008. The roll-up blinds were sold at retail stores nationwide from January 1989 through December 2003. The U.S. Consumer Product Safety Commission has advised consumers to check the backside of the roll-up blinds to determine if they have release clips. If they do not have release clips, stop using them immediately. You can contact Lewis Hyman for a repair kit at (877) 354-5457. If your child has been injured or suffered a wrongful death as a result of these defective blinds, please contact Cellino & Barnes at (800) 888-8888 or contact us online. Our attorneys are available 24/7 to help you.